Bose opened a new experience store in Xintiandi of Shanghai, its first global flagship store, representing the professional audio device vendor's ambition in China. Bose opened a new experience store in Xintiandi of Shanghai, its first global flagship store, representing the professional audio device vendor’s ambition in China. Bose, headquartered in the United States, displays latest products and technologies in the new store covering home theater system, portable speakers, noise-reduction headsets and headsets for sport fans. Meanwhile, Bose is cooperating with Alibaba to offer consumers integrated services covering the offline store and its online mall, including coupons and sales campaign for the November 11 cyber shopping festival. The highlight is the new SoundSport Free targeting sport fans, which is seen as a rival of Apple’s AirPods. 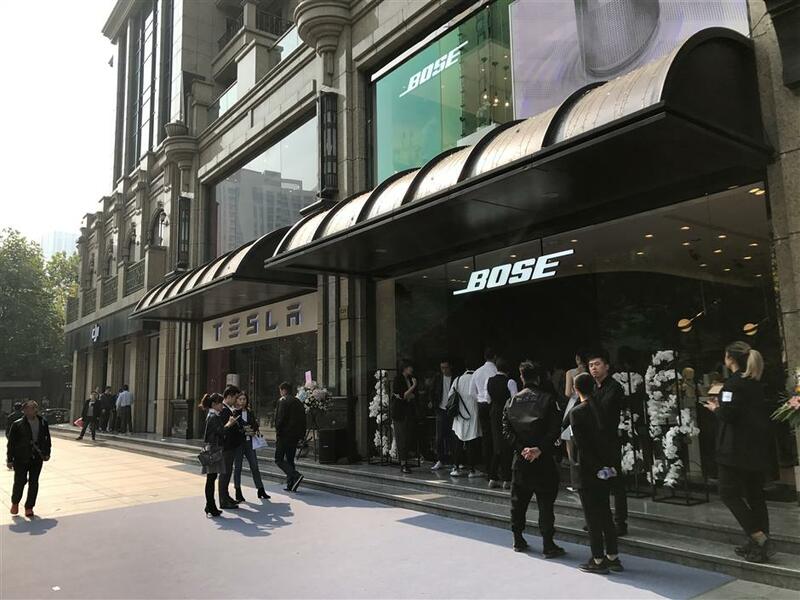 Bose, Tesla and DJI all open stores in Xintiandi of Shanghai.